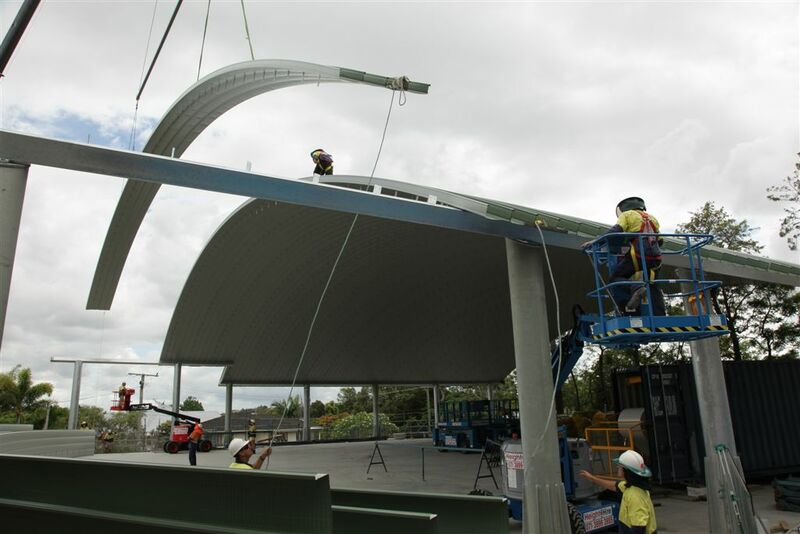 Spantech has completed the roof over two new covered netball courts at Lourdes Hill College in Brisbane. The striking building designed by Bertoldi Architects also features a large covered veranda which overlooks the Brisbane River, the Brisbane Powerhouse, Newfarm Park and the Brisbane CBD. Spantech was the nominated subcontractor engaged to supply and erect the structural steel, erect the Spantech 370 Series roof and install a thermal and acoustically insulated perforated metal ceiling.